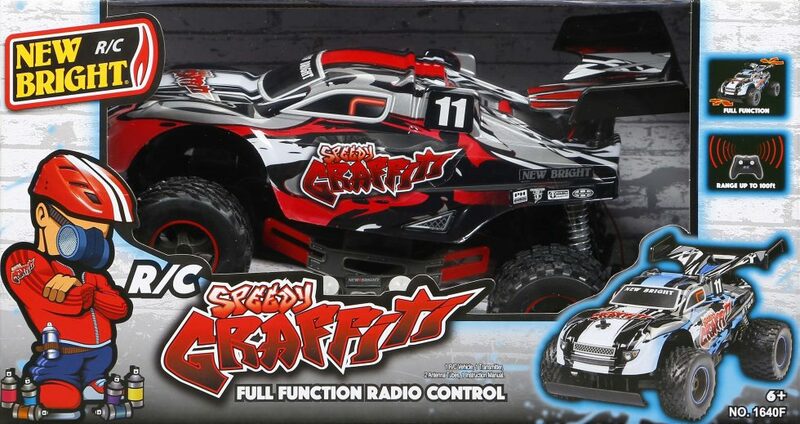 R/C Speedy Graffiti Buggy - Red | New Bright Industrial Co. 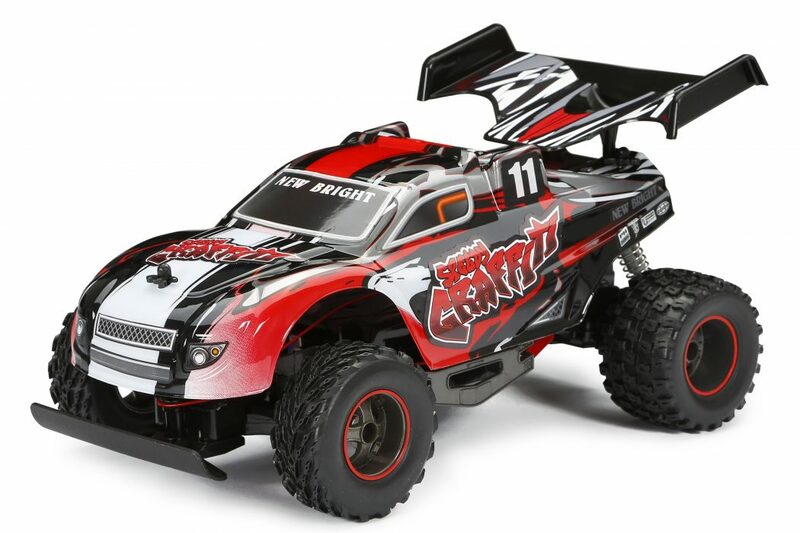 Your adventures have only just begun when you explore the paths in your 1:16 scale Graffiti RC Buggy. Featuring full function radio control and outfitted with knobby tires and spring suspension, you’re ready to explore. Choose between 29 or 49MHz frequencies & operate two vehicles at the same time. Batteries not included.